Would you like a few metal baskets for your books, magazines, toys, or towels? Or, how about for all that soon-to-arrive fall firewood? 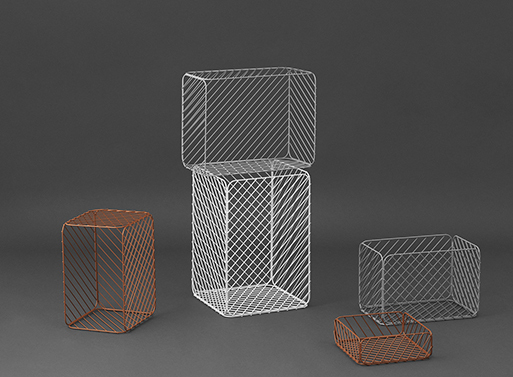 The metal ‘tracks’ of these baskets give a visual pattern of small squares when empty and a diagonal pattern when full. Choose from four different sizes and three color shades. Available from Norman Copenhagen, $45.00 -110.00.